One of those kung fu movies which appears to have been made up on the spot. 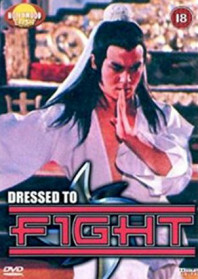 This weary film has Tien Peng playing a chopsocky nobleman attempting to go steady with his former childhood sweetheart, only for him to face a number of enemies from his warrior past. Friends become foe in a messy narrative which unfolds quite confusingly, while attempts to form some kind of supernatural element is, unfortunately, never fully realised. The high-wire fighting, trampoline stunts and flying daggers are all pleasingly kooky, but this is nothing too out of the ordinary. AKA: Dragon of the Lost Ark; The Legend of Broken Sword. Studio: Hong Kong (East Sea) Film Co.